Floor Area 273 sq. mtrs. This House of Character possesses a very serene cosy air about it and is located in an open square in a very quiet area of Naxxar yet close to all amenities. This property has a bright and airy spacious kitchen having a window and door on looking onto a sunny, tranquil large courtyard with small garden and well. Furthermore, this property is bestowed with a sun blessed roof inviting one to laze about in the sunshine and is very ideal for BBQs on those special summer evenings. 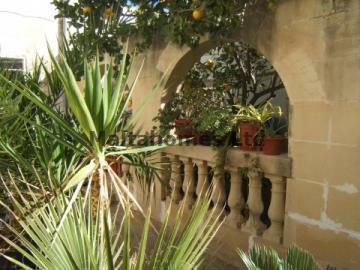 Naxxar is located near the small town of Mosta and the sought after areas of San Pawl tat-Targa and Birguma.